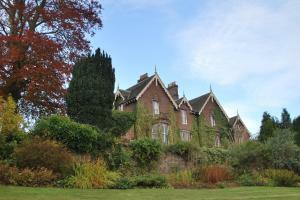 Choose from 64 hotels and guest houses in Perth and Kinross. Shown below a just a selection of the hotels available. To search within an area please use the menu on the right. This charming, 3-star guest house has a relaxed and friendly atmosphere and a great location, just 10 minutes' walk from the centre of Perth and all of its attractions Pitcullen used to be a large family home and for the past 25 years it has been run as one of Perth's best known guest houses. In October 2007, Pitcullen was taken over by Peter McGinnis and it is now run as a very friendly and relaxed guest house offering a very high standard of personal service. Peter is from the Perthshire area and has a wealth of local knowledge and information to make your stay more fun, interesting and varied. Free Wi-Fi internet access is available throughout the property and there is also a computer station available for guests' use. The residents lounge/study has Sky satellite television and an interesting range of books for your perusal. Enjoy friendly hospitality and good food at The Pend: a Georgian house offering luxurious guest accommodation in historic Dunkeld. The small hotel has 3 well-equipped bedrooms and a sitting room/dining area with a cosy fire. The menu offers the traditional cuisine of Perthshire and Scotland created with local ingredients from local suppliers. The hotel is recognised by Taste of Scotland. Dunkeld sits by the banks of the River Tay amid stunning scenery. It is about 12 miles (19.2 km) from Perth. Outdoor activities can be organised. Guests can use the leisure club facilities of the nearby Hilton Dunkeld House Hotel at special discounted rates. In previous years, The Pend has won the Johansens 'Wine List of the Year' award and been selected as 'Best in Scotland' by both Which? Good Hotel Guide and Les Routiers. 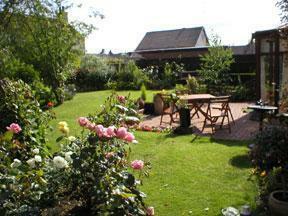 Peaceful, warm and relaxing, Glenvar b&b is situated in the middle of Blairgowrie in Highland Perthshire. Where you can relax and feel that here is a real home away from home. Glevar is an ideal base from which you can explore the many sites of Scotland. All that you could need or want to do is in easy reach from Blairgowrie. Perhaps a romantic escape, a country trek, a whisky trail or a high adrenaline rush in various outdoor activities... Glenvar was originally opened by Jean and Robert Wilson in October 2002. It has two double rooms and one single room, all en suite and on the ground floor .All are attractively furnished and finished to a high standard. Nestled amid the rolling hills of the Strathearn Valley, this luxurious hotel and spa is set within a 19th century former Baronial home in Crieff, with panoramic views across the beautiful Perthshire countryside. An oasis of peace and tranquillity, Knock Castle Hotel & Spa boasts 3.5 acres of woodlands which you can stroll through at your leisure. It also offers a range of health and beauty treatments, designed to rejuvenate and refresh, alongside a comprehensive gymnasium, swimming pool, sauna and steam room. To complete your day of pure relaxation and indulgence, head to the Rooftop lounge where you can enjoy a pre-dinner drink whilst overlooking the spectacular surroundings. Dinner is served in the hotel's fine dining restaurant. One of Perthshire's best known hotels enjoys a central location within the Victorian town of Pitlochry, boasting 2 acres of spectacular, award-winning gardens and a putting green. 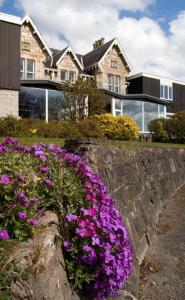 As a holiday or business venue in Pitlochry, the hotel is ideally situated in the town centre, yet still benefits from private parking and the tranquillity of its gardens and lawns. Pitlochry is the heart of Scotland and the scenery reflects this, with hills, lochs, rivers and glens attracting sightseers from around the world. The main street in Pitlochry, whilst small, has an excellent array of fine boutiques, country shops and the odd distillery. The hotel features numerous lounges, a restaurant, a main lounge overlooking the gardens as well as the popular Kingfisher public bar. There is a lift to the bedrooms in the main building but not to the garden-wing rooms. A fine, Scottish family house, superbly set within two acres, mainly natural woodland overlooking Pitlochry. Looking out on the garden, our restaurant offers the best of fresh, Scottish produce. Birchwood is a charming example of Victorian architecture - a fine, Scottish family house, superbly set within two acres, mainly natural woodland, but with a generous sweep of lawn, overlooking the town of Pitlochry. The character of the country house with darkwood-panelled hall, open fire on colder months in the lounge, enhanced by comfortable furnishings, has been carefully retained. Your resident hosts assure you of the warmth of welcome and individual attention, which ensures your stay is spent in a relaxed, convivial atmosphere. Looking out on the garden, our restaurant offers the best of fresh, Scottish produce. The quality of the dining experience is one of the main attractions for the many repeat visitors. The menu, recreated daily by Viv, is complimented by a selection of fine wines. Birchwood is an entirely NON SMOKING establishment. Pitlochry is perfectly located to be your Scottish holiday base. At the geographical heart of the country, it is the ideal springboard for exploration, both far-flung and near. Within a half hour drive you can enjoy Tummel and Loch Rannoch, on the legendary Road to the Isles. Walking, cycling (off and on road), climbing, fishing and water-sports are all readily available for the active, while all can experience breathtaking scenery - ravishing new vistas with every bend in the road. This striking Victorian hotel located by Loch Rannoch and the 'Schiehallion' mountain dominates the village square of Kinloch Rannoch and boasts friendly and efficient staff. Privately-owned and run, the hotel occupies a prominent position overlooking a small village, 13 miles from the A9, north of Pitlochry. Bedrooms have picturesque views, and even the smallest rooms have recently been refurbished. Rooms are individually decorated with antique and modern style furniture, and a mixture of fabrics and furnishings. In larger rooms there are comfortable armchairs from where you can gaze out of the window. Very popular as a weekend getaway, the hotel's facilities include a lounge room with log fire, a quiet conservatory, a small whisky bar with a very large collection of malt whiskies, and an elegant oak panelled dining room serving a range of seasonal and classic dishes with a modern personality. Situated just off the A9, five miles away from Pitlochry, this former coaching inn has been updated to provide comfortable accommodation for those wanting to explore the many attractions of Perthshire. Originally built in the 19th century, Ballinluig Inn offers a lively bar serving a wide choice of drinks and snacks in traditional surroundings. On Friday evenings you can relax by the roaring log fire and enjoy the live music sessions from 21:00, or challenge another guest to a game of darts. With wholesome, home-cooked food, 7 restful en suite rooms and welcoming communal areas within informal surroundings, the family-run Ballinluig Inn aims to offer the ideal base for your stays in the Scottish Highlands. In 900 acres of Perthshire countryside, this 4-star hotel is a complete family resort, offering a range of leisure pursuits for all ages, including golf, swimming and quad biking. Child- and family-friendly, the Crieff Hydro Hotel offers over 40 on-site activities, from relaxing spa treatments to climbing, and from horse riding to swimming in one of the two pools. With the beautiful scenery of the Strathearn valley as a backdrop, you can enjoy off-road driving, archery or air rifle shooting. BIG Country, the hotel's 700m? indoor childcare facility, offers inclusive daily childcare for 2 - 12 year olds. Extensively redeveloped from top to bottom, guests can choose from a range of contemporary 4-star family accommodation and all of the room rates include access to the hotel's leisure facilities and entertainment. The Meikle Restaurant offers all the formal splendour of a grand Victorian room, while the Brasserie offers a more relaxed and informal Mediterranean-style atmosphere for all the family. 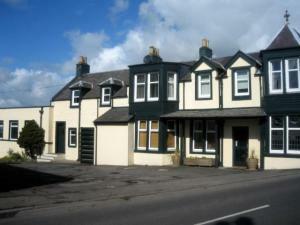 Acarsaid is a family-run hotel a short stroll from the town centre. It offers a great breakfast and a dinner menu focusing on local produce. The friendly staff and comfy surroundings at Acarsaid create a warm atmosphere set in stunning countryside. Perth is a 30-minute car or train journey away. Mountain biking, golf, theatre and relaxation trips can be organised at Acarsaid. 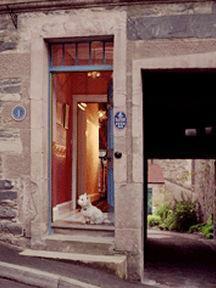 The Lovat Hotel offers a warm welcome and friendly atmosphere. The Lovat Hotel is located on the main route into Perth, making it an ideal choice for the business person. The Lovat Hotel is ideally situated within walking distance of Perth City Centre. With ample free parking, it's ideal when visiting the many excellent local attractions and shops. All bedrooms are well equipped, with en-suite facilities, hairdryer & satellite tv. There is a beautiful conservatory to relax in and for dining and there is the choice of our bistro bar which has an extensive menu with many exciting dishes, or our restaurant which serves a Table d'hote dinner menu. Opposite Blair Castle, family-run 19th-century Atholl Arms is full of character, offering log fires, locally sourced food and Wi-Fi. Shopping at the House of Bruar is nearby. The hotel's cuisine is fresh, simple, full of local flavours and served in the Baronial Dining Room with minstrels' gallery. Enjoy wonderful Scottish malts in the cosy, informal surroundings of Bothy Bar. The Atholl Arms stands proudly at the northern end of the quiet village of Blair Atholl, near Pitlochry. In Blair Atholl, you can try shooting, golf, climbing munroes, fishing, walking, adventure sports and sightseeing. There is salmon fishing at the River Tay and Tummel. Situated on the A9 road into Perth, Willow House Guest House is a welcoming Victorian property providing good value accommodation. The centre of Perth is a 10-minute walk away. All rooms are comfortably furnished, with modern en suite facilities and an LCD TV. An excellent inclusive full English breakfast is provided. Nearby attractions include Blair Castle and numerous golf courses. Free parking and free Wi-Fi internet access are available for guests. 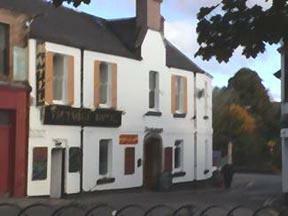 Meikleour Hotel has a beautiful rural location, and offers good food and warm service. Blairgowrie is a 5-minute drive away. The 5 spacious rooms have en suite bathrooms, free Wi-Fi, flat-screen TVs and tea/coffee facilities. Three of the rooms are located in the old hayloft. Arrive before 18:00 for free tea or coffee with homemade cake and shortbread. 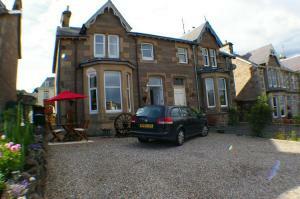 The Meikleour Hotel is 12 miles (19.3 km) north of Perth, and 10 miles (16 km) from Dunkeld. It was first known as a coaching and posting house for travellers en route from Inverness to Edinburgh. This family run guest house rests within a large garden, offering a quiet haven within the picturesque region of Perthshire. Comfortable, clean and fresh bedrooms benefit from the Ivybank's non-smoking policy. There is free off road parking and a large garage in which to store bikes. The city of Perth is a short drive away, where you can browse the shops, relax in a pavement cafe or walk through the parks that line the River Tay. Perthshire is golfing country, with over 60 courses within an hour's drive, including Carnoustie, Gleneagles and St. Andrews. Owners Marie-Celine and Chris Dandridge offer a warm welcome to the Ivybank Guest House. Once a coaching inn, the Alyth Hotel is in the Market Square of the pretty Highland village of Alyth, just north of Blairgowrie. The Alyth Hotel is 5 minutes from Alyth's 3 golf courses. There is a gun cabinet on site for those who like to go shooting in the area. The en suite, non-smoking rooms all have TV and tea/coffee. The Bridge of Tilt Hotel is a former hunting lodge which borders the River Tilt and the pretty village of Blair Atholl. Here you can be sure of a warm Highland welcome from our General Manager and staff. The hotel features a lovely bar lounge with open fire, a spacious dining room and a dance floor where entertainment is regularly featured. Meanwhile, in a converted mill in the hotel grounds, the Roundhouse pub is popular with both visitors and locals alike. Totally non-smoking hotel. All 28 bedrooms are en suite and feature color tv, telephone and tea and coffee making facilities. Although there is no lift, ground floor bedrooms are available on request.